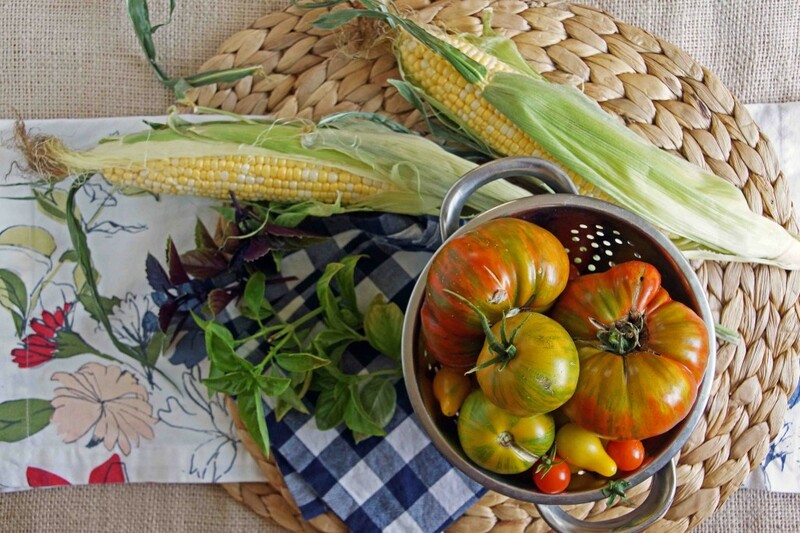 Head to your garden or the farmer’s market and load up on the late summer goodies: big, red heirloom tomatoes, sweet corn, and fragrant fresh basil. 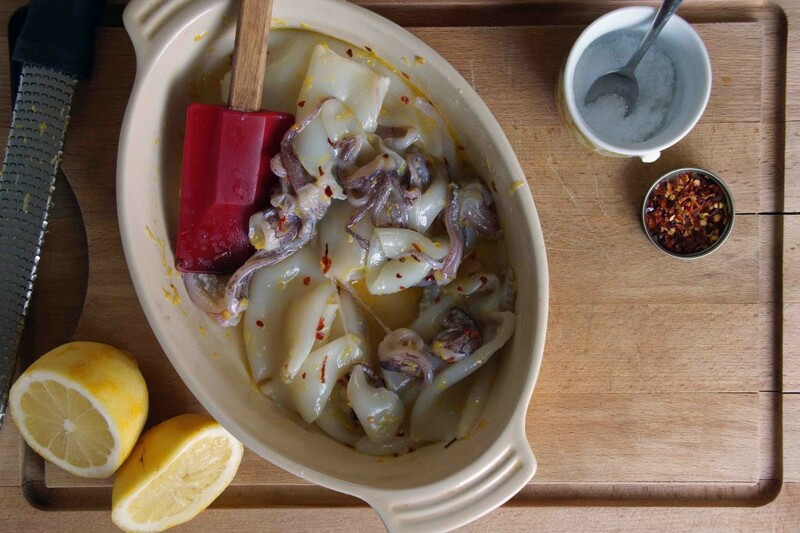 Mix up a simple marinade for the calamari–just olive oil, lemon juice and zest, salt, and a hefty pinch of red pepper flakes. Start with whole tubes of calamari, preferably with tentacles attached or nearby, so they seem less likely to actually be this. Let the calamari chill out in the fridge for an hour or so, soaking up the lemon and spice, then fire up the grill. Grill a couple of ears of sweet corn and a bunch of scallions until they begin to char here and there. Add the calamari and grill for a minute or 2 on each side until they’ve turned opaque. Head on inside and getting chopping. Slice the corn off the cob and into a bowl. 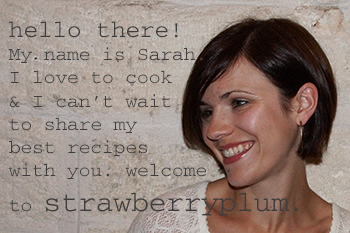 Chunk up a juicy red tomato. Chop the grilled scallions and cut the calamari tubes crosswise into rings. Toss the veggies with olive oil and lemon juice and add lots of torn basil leaves. If you have purple basil, use it! 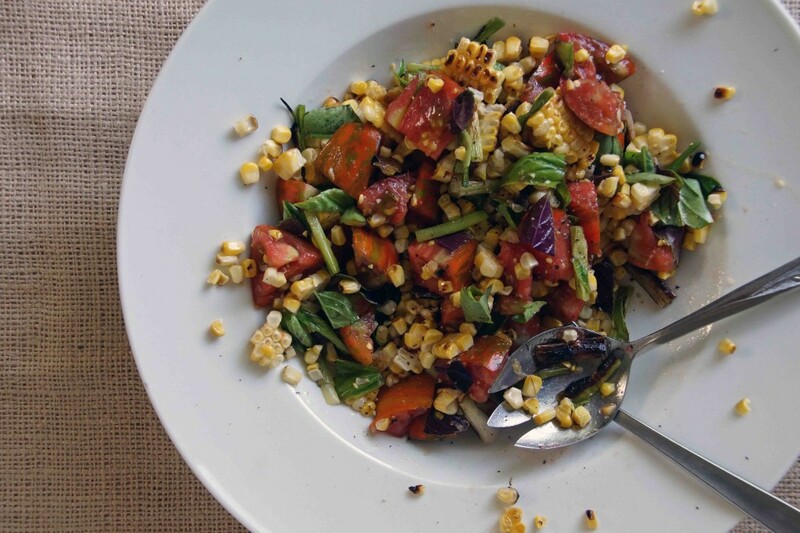 Your salad will look like even more of a party on a plate. 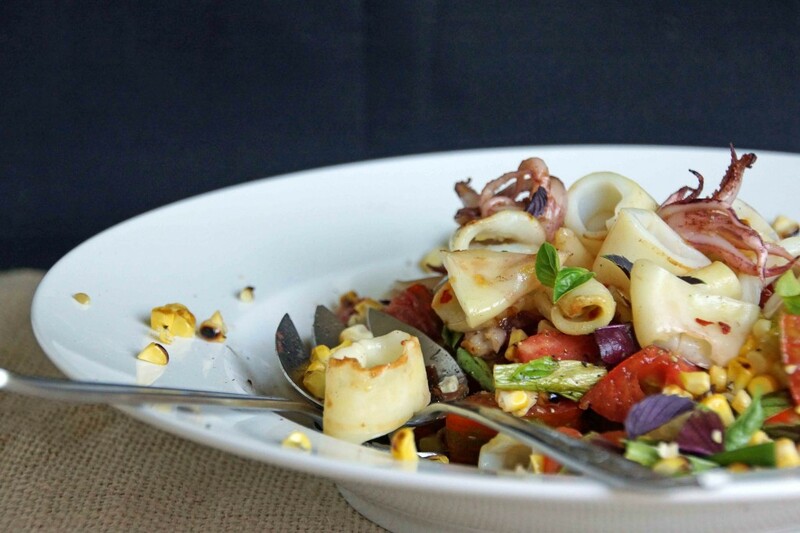 Top the salad with the calamari rings and tentacles. Go kick your feet up in the backyard, eat dinner, and enjoy what remains of your summer; it’s not over ’til it’s over. 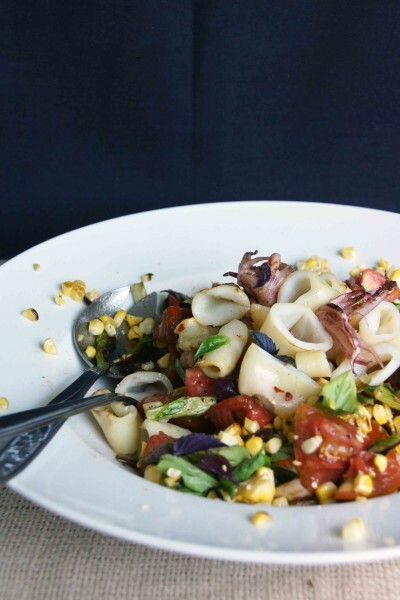 The calamari salad is great served slightly warm as soon as it's made or chilled hours or a day later. If you want a more substantial salad, I don't think a cup of quinoa would be out of place, otherwise serve with a couple of pieces of grilled bread. Combine 2 Tbsp. of the olive oil, lemon zest, 2 Tbsp. lemon juice, red pepper flakes to taste, and ½ tsp. salt in a small baking pan or shallow bowl. Toss calamari tubes and tentacles with the mixture, cover with plastic wrap, and allow to marinate in the refrigerator for about 1 hr. Light the grill. Create an even, hot fire. 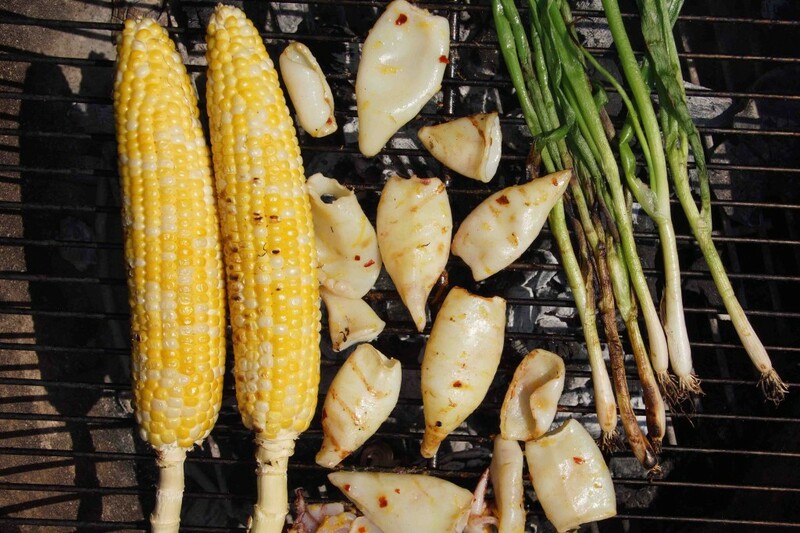 Grill the corn and scallions until slightly charred. This should take 8-10 minutes, depending on how hot your grill is. Watch the scallions carefully; they can go from slightly charred to burnt pretty quickly. Grill the calamari until opaque, 1-2 minutes per side. Pile the tentacles together to prevent them from dropping between the grill grates or place on a piece of foil. Let the corn cool slightly, until you are able to handle it. Slice the kernels off the cobs and into a bowl. Cut the white and light green parts of the scallions into 1 in. lengths and add them to the bowl along with the tomato. Dress with about 1 Tbsp. olive oil, 2 tsp. lemon juice, salt, and pepper. Scatter the basil in and toss once more. Cut the calamari tubes crosswise into rings. I like to make thicker rings, ranging from ¼ in. to ½ in. thick for a variety of textures. 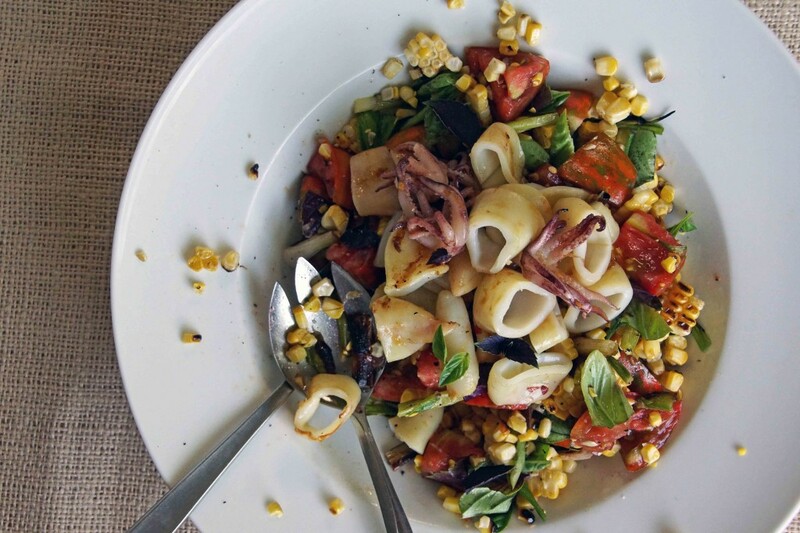 If you prefer thin and even calamari rings, by all means, cut them in ⅛-1/4 in intervals. Mound the rings along with the tentacles atop the salad and serve. Yum! And that’s right, it’s not over till it’s over! Enjoy!